Are you looking to get your business involved in the community through fun, easy, and philanthropic ways!? Look no further, Miracle Jeans Day is coming! 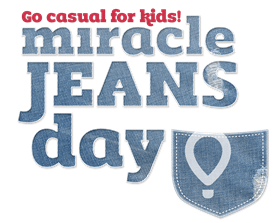 Miracle Jeans Day is September 12th– employees can raise funds for local children all while being a little comfier. Donate a dollar and wear your favorite jeans to work! You can participate one day or every day. You can really make it your own. 100% of the funds raised go to Sanford Children’s Hospital in Fargo! 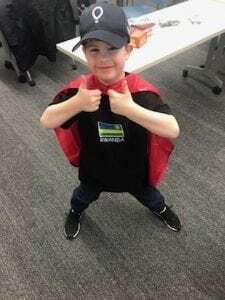 Noah, our Champion for your local hospital thinks that’s pretty cool! If you are interested in participating, please contact Katie Pipinich at katherine.pipinich@sanfordhealth.org.